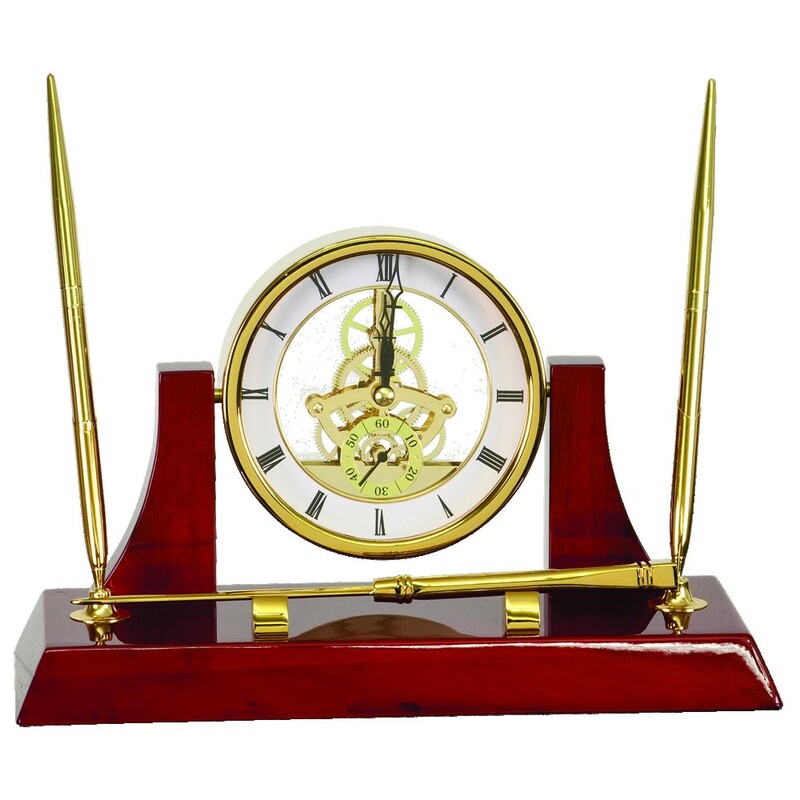 Our Rosewood Executive Desk Clock with Pen Set and Letter Opener makes the perfect personalized gift for the leader of your organization! This premium desk clock measures 6 inches tall by 10 1/2 inches wide. In your choice of gold or silver, it features a large skeleton clock with visible gears between two rosewood stands. On either side of the desk clock are pens, with a letter opener at the base. Your personalized message is engraved on a black metal plate and attached to the base of the clock. Includes 2 AA batteries and a gift box for presentation. View other Custom Engraved Rosewood Clocks.